Ever since 1872, when it handed over responsibility for its schools to the secular authorities, the Church of Scotland has maintained an active involvement in state education through the General Assembly, the Church and Society Council and the Education Standing Committee. Of special importance lies the continuing participation of the church through its representation on local authority education committees and thereby an influence on policy decisions at a local level. . Church representation on education committees was included in the two local government re-organisations after 1929, regionalisation in 1975 and the move to unitary authorities in 1996. The Church is entitled to nominate people to represent its views to the 32 Scottish Local authorities. The committee is responsible for nominating and supporting these church representatives  Initially the 1973 Local Government (Scotland) Bill proposed continuing with the provision of “two persons interested in the promotion of the religious instruction”. After a long debate on church representation and the whole idea of having non-elected members of any statutory committee, it was agreed to amend the Bill to guarantee a statutory place for Church of Scotland representatives on education committees. (c) one person, or in the case of the education authorities for Orkney Islands, Shetland Islands and Western Isles, two persons, in the selection of whom the Authority shall have regard (taking account of the representation of churches under paragraphs (a) and (b) above) to the comparative strength within the area of all the churches and denominational bodies having duly constituted charges or other regularly appointed places of worship there. School Boards with 38 ‘Ad Hoc’ education authorities based on counties and cities. As part of the reorganisation of local government in 1929, the county and city councils superseded the ‘Ad Hoc’ authorities. This was the first time that local authorities were given responsibility for education in their area, as a duty. The new local authorities introduced education committees of elected members (councillors) who were joined by representatives of the teaching profession and of the churches. This was the first time that churches were given a statutory representation on education committees. Church representation on education committees was included in the two local government re-organisations after 1929, regionalisation in 1975 and the move to unitary authorities in 1996. Statutory representation of teachers did not survive in 1996 but most authorities have co-opted teacher representatives as well as representatives of parents. A consequence of the 1872 Act was to make schooling compulsory for children in the age group 5-13, although exemption was made for children ten and over who could prove that they had achieved proficiency in grade five of the curriculum. The nominal leaving age was raised to fourteen in 1883 and education was free. By 1908 the system of exemptions was abandoned and precise entry and leaving dates were introduced. The 1872 Act was successful in providing a broad framework for a national system of education. Within thirty years of its passing illiteracy had been eliminated in both the Highlands and the Lowlands, and much was done to improve attendance rates. The legislation failed to address several important educational issues. Firstly, it dealt only with elementary education and had nothing to say regarding the provision of secondary education; secondly, the school boards were dominated by clerical and business interests and controlled from London, with the result that the new educational system did not reflect the wishes of the wider society or cater for their aspirations; and, finally, they did little to improve pupil/ teacher ratios, particularly in poorer areas where class sizes were between 60 and 70.
those run by Edinburgh’s Merchant Company or the Heriot’s Trust were turned into fee paying schools for the middle classes, in spite of opposition from the Edinburgh Trades Council. In addition to these schools came the academies, which were created in 1872 and were designed to give instruction in advanced subjects such as Latin, modern languages and maths. In 1888 a Scottish leaving certificate was introduced for secondary pupils examined by university professors but it did little to increase the numbers in these ‘higher class’ schools. Even in 1892 when all elementary and most secondary education became free, and scholarships were more widely available, few workingclass children were able to take advantage of the opportunity. Only just less than 5% of pupils attended a secondary school in Scotland in 1897. For a small nation Scotland was particularly wellendowed with universities, boasting five in the 19th century - a figure which included Aberdeen’s Marischal and King’s Colleges. The universities were considered to be national, public institutions and, therefore, less elitist than Oxford or Cambridge in England. Because of this they were said to be more open to working people and, indeed, 18.6% of the student population of Glasgow University in 1860 was from working-class backgrounds. The existence of a substantial number of working class students has given rise to the view that universities in Scotland were more democratic and based more on merit than the class-ridden universities of England. The wider implication was that Scotland was a less class obsessed society than England. This view was expressed in George Davie’s highly influential book ‘The Democratic Intellect’ (1961). However, Davie’s views have come under fire in recent years, mainly due to the research of TC Smout and RD Anderson. Most of their criticism of Davie’s thesis derives from their re-working of the statistical material contained in the report of the Argyll Commission of 1867. Things did improve in 1889 due to an Act of Parliament which transformed university education in Scotland from a system based on general arts to a more specialised basis of study. As a result, philosophy, which had previously formed the core of the arts degree, was made optional. Students were also forced to compete for bursaries and this acted as an unofficial entrance examination. The setting up in 1901 of the Carnegie Trust Fund (CTF) provided a further source of assistance and by 1930 70% of university students in Scotland were receiving awards from the fund. The numbers of students in higher education institutions increased from 4,400 in 1830 to 6,000 in 1900, to 10,000 in 1938. Arts, Medicine and the law were still the preserve of the middle classes; the chances of a male from the lowest social class gaining a degree in law were 1 in 20,000 and in medicine 1 in 6,000. The situation also improved for females. It was not until 1893 that universities opened their door to females. This was the culmination of a long drawn out campaign by feminists begun in the 1860s. Until the 1872 Education Act teaching in Scotland was dominated by males possessing a university degree or a teaching certificate. Women were not prevented from entering teacher training colleges but had financial and other barriers put in their way. Nearly all male students received grants, but females had to finance their own training. Moreover, the subjects for boys included sciences, mathematics, Greek and the classics, whereas girls studied domestic economy, French and botany. The gendering of study was also reflected in the different career paths followed by the students on graduation: boys to tenured positions in parish or burgh schools; girls to insecure work in the voluntary sector. However, with the introduction of compulsory schooling in 1872 for children between five and thirteen the demand for female teachers grew rapidly and gradually the profession became feminised. Presbyterian discipline was immense and led to the extensive use of the tawse - a heavy leather strap. Classrooms were also cold and the learning regime tended to inhibit self-expression in favour of merely repeating the received wisdom of the teacher. In schools it was written that there ‘should be sustained quietness and instantaneous obedience’. The question which exercised the minds of those responsible for education policy in the 1920s and 1930s was this: in the face of growing demand should secondary education be provided for all, or only for some children? For the policy-makers at this time children could be divided into two types: the academic child, destined for university and professional status; and the non-academic child who lacked the ‘mental equipment’ to benefit from higher education and was, therefore, destined for an industrial/manual occupation. The first solution was to create Advanced Divisions (ADs) in elementary schools to provide post-primary education. The standard of work was poor in these ADs, since the staff was not sufficiently qualified to go beyond the requirements of primary education. The second response was to give all pupils secondary education; something which was enacted in 1936. However, to maintain the meritocratic system which had developed in the 19th century, the secondary schools were divided into three-year junior secondary schools, leading to no qualifications, and the five year senior secondary schools, leading to the leaving certificate and university entrance. Although these developments meant that proportionately more children in Scotland had access to secondary education than in England, it condemned the majority of the school population to the failure of early leaving. The period from 1900 to the outbreak of war in 1939 did not witness the same degree of change in the educational system as had occurred in the 19th century. However, there were important developments in the sphere of primary and secondary education. These changes did little to alter the class bias of education, but collectively they made important contributions to the creation of an all-encompassing modern educational system in Scotland. As late as 1951, and in spite of more educational reforms in the 1940s, 87% of young adults in the age group 20-24 were leaving school at age fifteen or younger. It was not until the introduction of comprehensive schools in 1965 that the inequality between senior and junior secondary schools was finally addressed. It also marked a shift in the fundamentals of educational philosophy away from equality of opportunity to equality of treatment of pupils regardless of family background or place of residence. Although there remained differences in the quality of provision offered by schools under the comprehensive system a framework was provided which could address these variations. With the introduction of the ‘O’ Grade in 1962 the numbers going on to ‘Highers’ increased. As a result, the size of the university population began to grow from 5.1% of the age group associated with university entrance in 1962, to 17.0% in 1970. Females and young people from working class backgrounds benefited from the changes. The number of students in the latter category increased from one-sixth of the total university student population in 1868 to a quarter in 1961. However, it is still the case that social background to a large extent determines the level of educational attainment and this problem is one with which policy-makers are continuing to grapple. 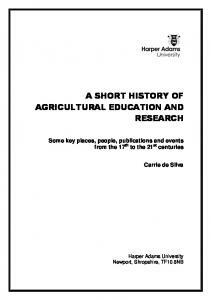 Report "A History of the Church and Education"